How to recognize, understand and control hypoglycemia? How diet, exercise and vitamins play a role in the healing process? How hypoglycemia is affecting our children in epidemic proportions? How hypoglycemia and alcoholism are correlated? How hypoglycemia is a prelude to diabetes? 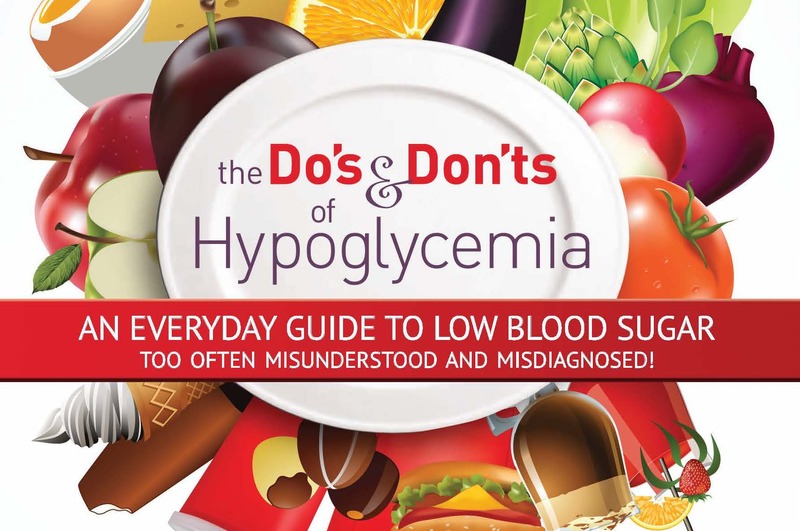 The Do’s and Don’ts of Hypoglycemia, 5th Edition, available in Kindle and paperback, includes highly informative results of a national survey conducted by the Hypoglycemia Support Foundation. Featured in Healthy Aging Magazine! You’ve done a superb job after years of both personal and intellectual research on this topic. Thank you for helping so many people who will benefit from your experiences and clear writing. Our 21st century lifestyle is causing so many diseases, with hypoglycemia being high on the list. Here is a book that explains in detail the relationship between diet and behavior, and important steps to recovery. It can be easily read with solid facts and simple suggestions. If followed, Roberta Ruggiero’s book can do wonders for not only people with hypoglycemia, but any blood sugar concern. Not only has Roberta written the book about low blood sugar, but she has lived it. She is a walking encyclopedia. You could call her ‘The Mother Theresa of Hypoglycemia.’ She has unselfishly helped millions. If you have any questions about low blood sugar, you need this book. I’m proud to join her in the ongoing crusade to educate the public about the dangers of sugar and hypoglycemia. God bless you. Your book marks the beginning of my quest for information on this quiet culprit, who sets up camp in the corner of your life, and robs you of your senses. Even though I still find myself in unexplainable tears or wrapped in a blanket in 90 degree weather, I finally feel hope. I feel sure that God has His hand in this matter. Thank you for writing and sharing your experiences and knowledge. 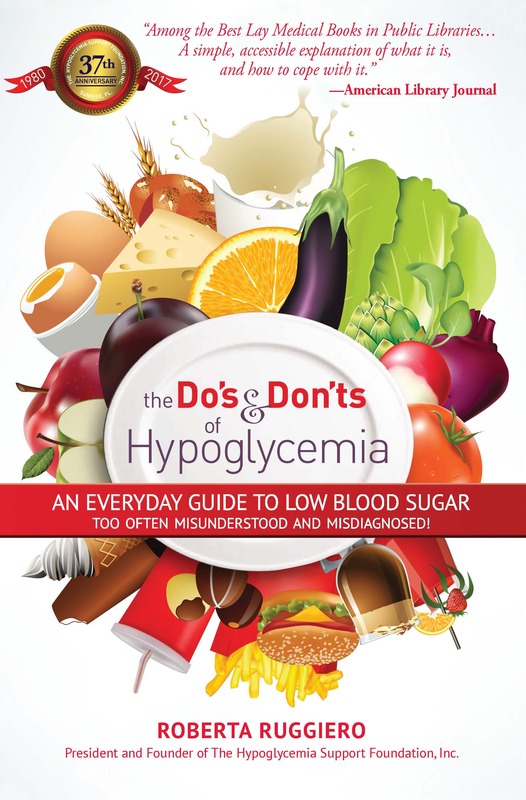 I read your book recently, The Do’s and Don’ts of Low Blood Sugar. I wish I had found it before I did all my technical reading. The book made me cry. It also made me feel as if I was being hugged and comforted by a dear friend. You wrote so well about all the things I’ve been trying to explain to my family as well as to my doctor. The Do’s and Don’ts of Low Blood Sugar has been endorsed in our programs. Only those books that are felt to be truly outstanding selections are incorporated into our programming. It’s always a personal pleasure to encounter and recommend good, conscientious work to our audience.